Once completed go to www.HomePath.com to submit your offer. 1) All properties must be on the market for 3 days before any offer will be reviewed - See Timeline below. 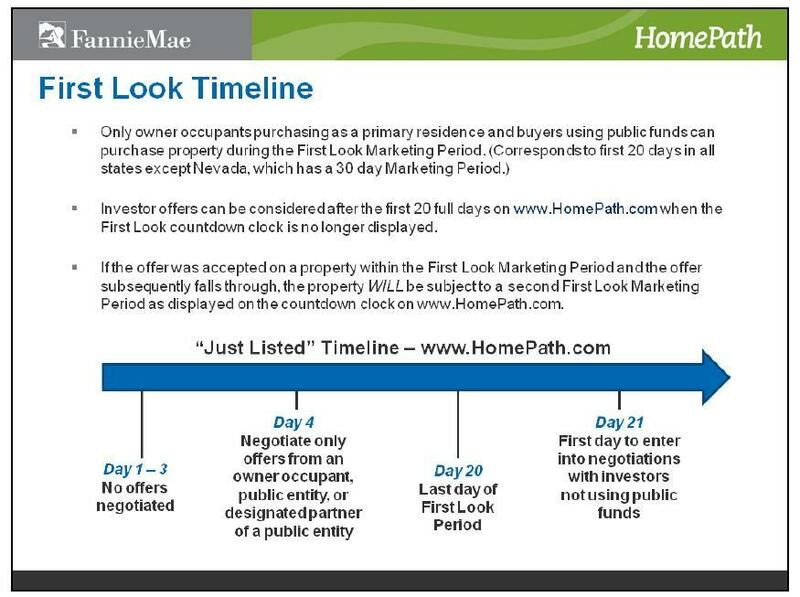 2) The First Look Period timeline is on the www.HomePath.com website - it is for PRIMARY Residences - Sorry 2nd Homes or part-time resedences are considered 'Investors' for this offer process. 3) Fannie Mae is EXEMPT from paying Transfer/Doc Stamps - Buyer will pay these fees.